The Nintendo Switch console has been quite hard to find in stores ever since its release earlier this year, leading many to think that Nintendo definitely underestimated demand for its latest console. According to Reginald Fils-Aimé, this wasn’t the case. Speaking with Mashable, Reggie clarified on the Nintendo Switch stock situation, stating that Nintendo actually over delivered the console. Despite the issues, Nintendo is confident in being able to supply 10 million units in the current fiscal year. Despite Nintendo’s efforts, however, the situation hasn’t improved as much as fans would have liked. Reggie admitted that things are getting better, just not at the quick pace some might have expected. I think if you were to go back and look at some of these comments, you would actually see that the issues have been resolved, but it’s happening at a pace that is later than maybe where the commenters would like the resolution to be. Next month, a new Nintendo Switchy bundle will be made available in all regions. The Super Mario Odyssey Bundle will include the console, a digital copy of Super Mario Odyssey, two red Joy-Con controllers and a special edition carrying case. This bundle will launch on October 27th for the price of $379.99. 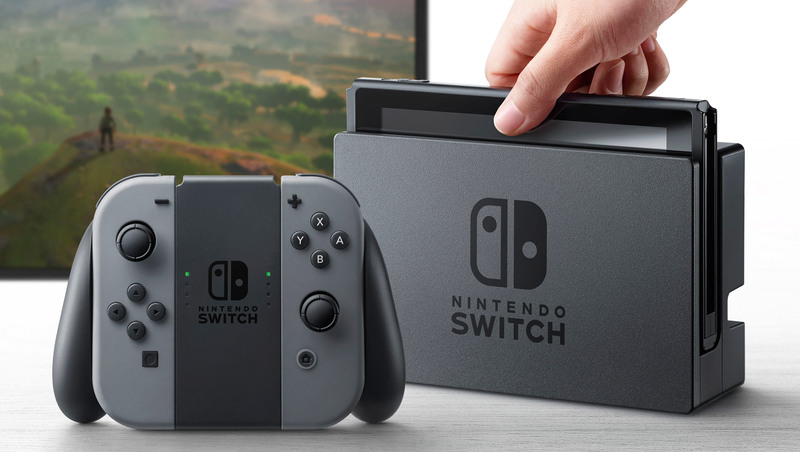 The Nintendo Switch console is now out in all regions.